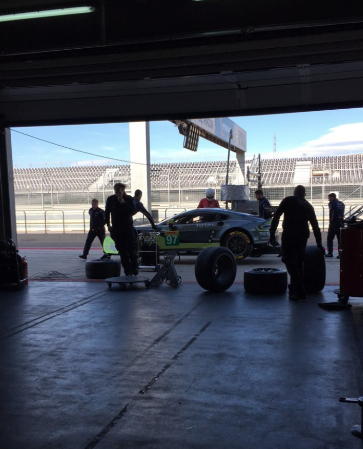 At least two more Aston Martin Racing drivers have arrived for the final days of track action at the Dunlop collective test that is currently underway at the Spanish Motorland Aragon circuit. Joining drivers Darren Turner and Jonny Adam, who have been there since the start alongside Dunlop Development driver Daniel Serra appear to be both Nicki Thiim and Marco Sorensen who took a day out of their schedule to soak up the atmosphere at the F1 test in Barcelona yesterday on the way through from their Geneva Motorshow duties on Tuesday. 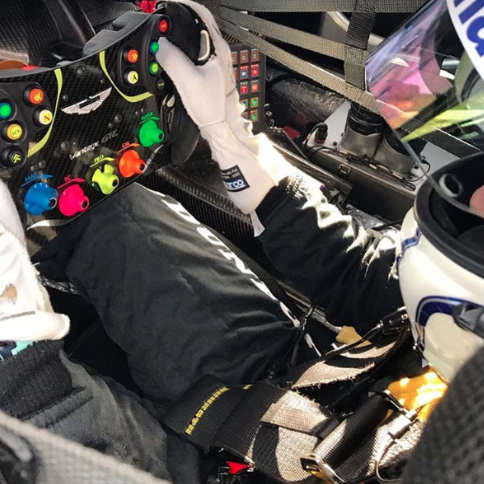 Dunlop report that over 20 cars have participated in its collective test with cars spread across both LMP2 and GTE classes as well others in GT3 and SPX guise (running in non ACO rules championships of course) as all teams cram final private testing regimes in before the official 'test' for the World Endurance Championship at Monza in just over three weeks time. As mentioned before, photos from this test have confirmed the existence of a 2016 specification #98 GTE Am car for Dalla-Lana,Lamy and Lauda but it has not been confirmed whether any of these drivers have been running in the test. We do know that Lauda, who lives in Barcelona has been out at the F1 test with his father, Nicki but it would be bizarre for the squad to arrive at Monza inexperienced in the characteristics of the much improved 2016 Dunlop tyre although the FIA WEC entry list still lits the car using Michelins!